Starting from January 1, 2020, all manufacturers of connectivity devices are required to equip their devices with security features designed to protect a connected device and any information it holds. California Governor Jerry Brown signed the first US Internet of Things (IoT) cybersecurity legislation: Senate Bill 327 and Assembly Bill 1906 and this will come effective from next year. Any manufacturer who makes connectivity devices that can directly or indirectly connect to the Internet and are assigned an Internet Protocol (IP) or Bluetooth address, will be regulated by this law. The law primarily applies to manufactures who make consumer grade connectivity devices , to ensure security features on internet connected devices of California’s consumers. Silex Technology welcomes and applauds this legislation regarding individuals and devices digital security. 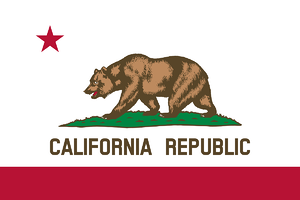 The California Senate Bill addresses the issue of the “simple password” used by all connectivity device manufactures. The “simple password” is a universal password set by the suppliers to make initial access and support easy. Although this is meant to be changed by their customers when the devices are deployed, most often it is not, resulting in an easy point of access for hackers and Cybercriminals to steal the individual's private data. The Senate Bill addresses this issue by requiring a more robust and secure method for initial authentication by the customers, essentially making the “simple password” no longer legal in California. Although the legislation is only for California, Silex sees this requirement as a valuable addition to our products and has committed to supporting the requirement worldwide. Silex will provide a firmware update and documentation for affected products prior to the enactment of this law. Details of the update and schedule will be made available in the coming months. Please contact your local Silex Sales team at sales@silexamerica.com if you have any questions.